Introduction: In this modern age where resources are becoming increasingly finite and their demand is increasing exponentially, the price of energy is hiking to a new height. Energy bills are a heavy burden on your pocket nowadays, and this is a problem if you’re operating on a tight budget as a school or non-profit. In order to survive, you need to cut down on the cost and this means saving dollars on your energy bill by installing solar panels which are a 100% eco-friendly and a renewable source of energy which is the cheapest option available at the moment. In this article, I will enlighten you on why you should order solar panels from Sun Bug Solar and what makes them stand out. Feasibility: Sunbug isn’t that greedy old businessman who just wants to make money. Instead, they do care about you and your hard earned money. As a result, before they start installing solar panels they will first carefully evaluate your school or office and see whether or not it will be feasible and efficient. This evaluation will include factors like the aesthetics, the best angles, etc. Don’t worry, the evaluation is completely free and all you need to do is perhaps offer the agents a glass of water. Convenience: The professionals at Sunbugs will only need a maximum of three days to install the panels, and you won’t have to worry about permission or notice from any local government body as they will ask for permission on your behalf. After installing, they won’t just forget you and will set up an online monitor for you so that you can track the performance and efficiency of your system 24/7 and 365 days a year. In addition to that, during the installation process, the highly trained workers will not disturb the activities of your organization and respect your workplace environment. All the work is done on the roof so there won’t be any interference that could cause disruptions. Financial Gains: One major factor why you should switch to solar power is that the monetary benefits you will enjoy are unprecedented and too good to be ignored. Not only does the federal government give rebates and tax incentives on installing these energy-friendly projects, but there are also state-sponsored benefits. In addition to that, solar power has been shown to have increased the property value of school buildings or your non-profit offices. 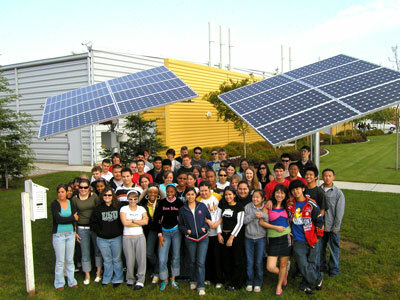 Solar power can increase the value by around 15 to 20 thousand overall. Research by the US State Department has shown that properties with solar power sell more quickly than the ones without it. Conclusion: Mentioned above are just some of the benefits you will avail if you decide to hire the services of Sunbug Solar to install solar panels on the top of your school or office. As you can see, they provide the complete solar power solution and will help in solving your energy crisis and reducing a handful amount of dollars on your energy bills.